Canine hemangiosarcoma is a soft tissue tumor (sarcoma) that commonly arises from the spleen or liver. Hemangiosarcoma may occur as a single tumor or as multiple ones. 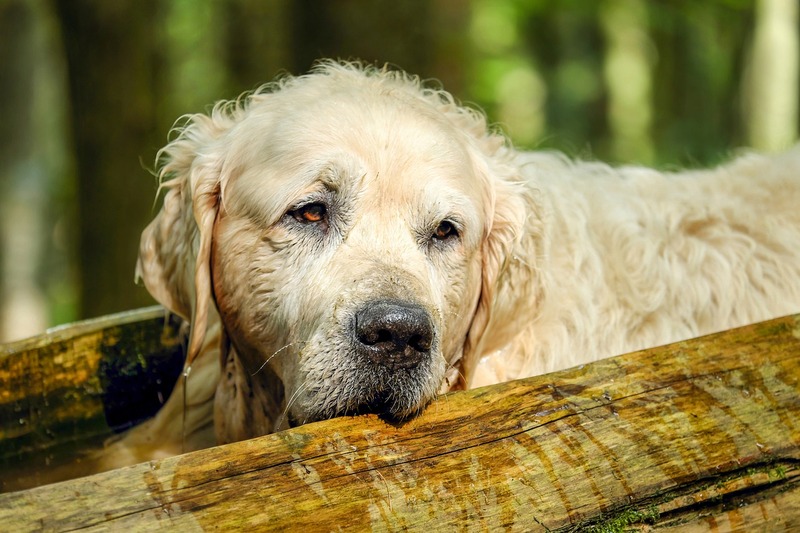 This page looks at the symptoms, causes, and conventional treatment of hemangiosarcoma in dogs. Hemangiosarcoma is a soft tissue tumor (sarcoma) that arises out of blood vessels – the arteries or veins. It commonly arises from the spleen, the liver, and the skin. Occasionally it occurs in other parts, including the heart. The cancer cells invade the endothelial cells lining the walls of the blood vessels in the affected organ. Since they come from the walls of blood vessels, they are usually filled with blood. Canine hemangiosarcoma may occur a single tumor, or it can arise as multiple tumors. The tumor can get very large, especially in the spleen. Eventually the tumor ruptures and bleeds, resulting in life-threatening blood loss. Hemangiosarcomas have a fairly high rate of metastasis. By the time the tumors are first diagnosed, they will most likely have already spread to other sites of the body. The liver and the lungs are the two most frequent organs to which hemangiosarcomas metastasize. However, this type of cancer can also spread to other organs, such as the kidneys, lymph nodes, adrenal glands, and even muscles and the brain. Genetic Predisposition: Some large-breed dogs are more prone to hemangiosarcomas, such as the Golden Retrievers, Labs, and German Shepherds. Age: Canine hemangiosarcoma usually occurs in older dogs. 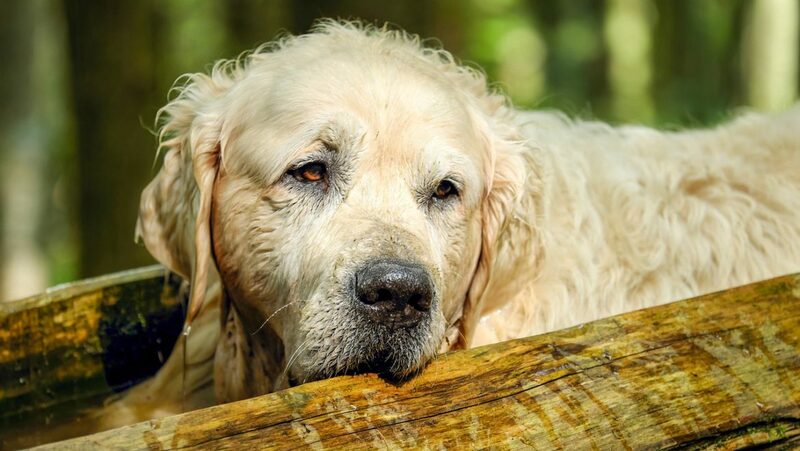 The average age of affected dogs is 8 to 10 years. Gender: Males tend to be more susceptible to this form of cancer than females. Neutering or Spaying: There is also now evidence that spaying and neutering increases the risk of hemangiosarcoma. Symptoms of hemangiosarcoma depend on the location of the tumor. Many signs of hemangiosarcoma in the spleen are easy to overlook. 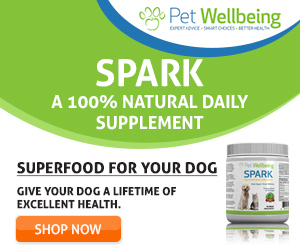 The dog may show weakness, especially in the hind legs, and decreased energy and reduced activity that lasts for a day or two, then goes away only to reappear weeks or months later. The reason for this waxing and waning condition is due to the bleeding of the tumor. When the tumor bleeds, the blood goes in and around the tumor, which causes weakness in the dog. The gums turn pale or white (due to anemia). The dog may lose his appetite. Then in a day or two, the blood goes back into the circulation causing the dog to feel better. This is called “autotransfusing”, which is the body’s way of recovering blood within the abdomen. However, in some cases, the dog may suddenly collapse due to shock from rupture of the spleen. When hemangiosarcomas occur on the skin surface, they look like small red dots early on, and later turn into purplish-black raised growths. They tend to bleed easily. Sometimes, the growths occur underneath the skin and feel like fluid-filled swellings. If this type of tumor occurs in the heart, it can result in heart failure. However, biopsy is the only way to obtain a definitive diagnosis. Since large breed older dogs are more prone to hemangiosarcoma, if you have a large breed dog over six or seven years of age, consider having your dog checked for hemangiosarcoma annually. Surgery is the conventional treatment of choice for canine hemangiosarcoma in the spleen. The spleen is either partially or completely removed, but less than 10% of the dogs survive more than a year after surgery. The skin form of this cancer can very often be cured with surgery alone (about 8 out of 10 dogs). But if the tumor is deep in the skin, the success rate is much lower (2 out of 10 dogs, with a survival rate of about 6 to 12 months after surgery). Dogs with hemangiosarcomas in the heart will not live more than 7 to 8 months with surgery alone (which involves the removal of the pericardium and the heart-based hemangiosarcoma). Median survival rate is approximately 1 to 3 months. Chemotherapy on a regular basis after surgery can extend a dog’s good quality of life. Injectable Adriamycin (Doxorubicin), either on its own or combined with cyclophosphamide or vincristine, is a common chemotherapy treatment protocol. Radiation treatments are rarely used for hemangiosarcomas that occur in organs like the spleen, the liver and the heart. In dogs with very severe hemangiosarcoma of the skin that cannot be operated on, radiation may sometimes be used to control bleeding. Radiation may help control clinical signs but has not been shown to significantly improve survival time.